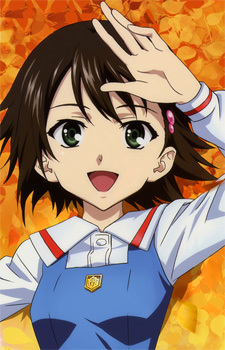 Noe Isurugi is an odd girl at Shin'ichirō's school. He first meets her up in a tree where she is picking silverberries for a chicken she named Raigomaru in a coop on a campus. Shin'ichiro ends up having to catch her as she jumps from the tree since she was stuck and could not get down on her own. She likes chickens, though would only feed one of them since she says "it could fly" while the other cannot. After the chicken gets killed by a raccoon, Noe becomes saddened, but does not cry because she "gave away her tears". She later explains that after her grandmother died, she was unable to cry anymore due to her grandmother telling her that when she dies she will take Noe's tears away with her.